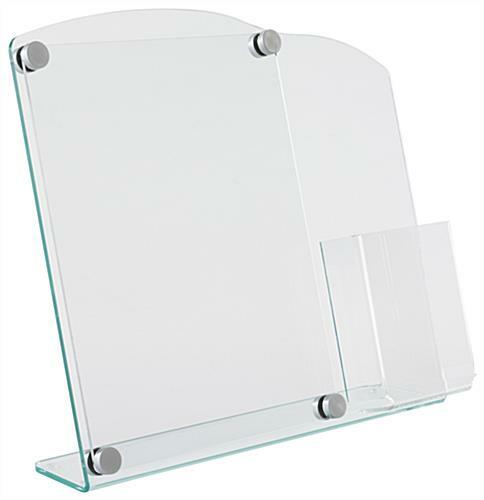 Green-tint edges and decorative gold knobs give inexpensive acrylic construction an upscale look. 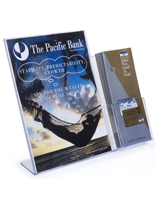 Combination literature holder showcases and 8-1/2" x 11" sign and offers 4" x 9" takeaway brochures. 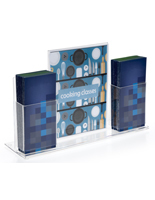 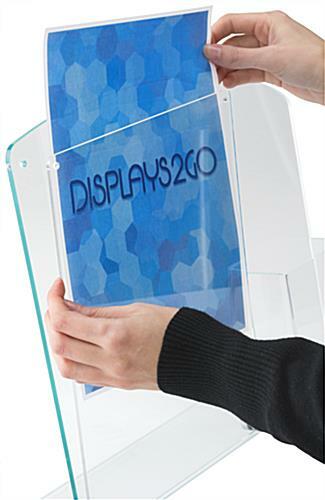 Lightweight acrylic construction is perfect for counter, desktop or table display. 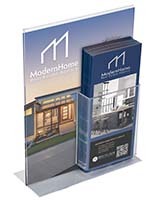 These brochure displays are multi-purpose sign holders with inexpensive construction but an upscale look. 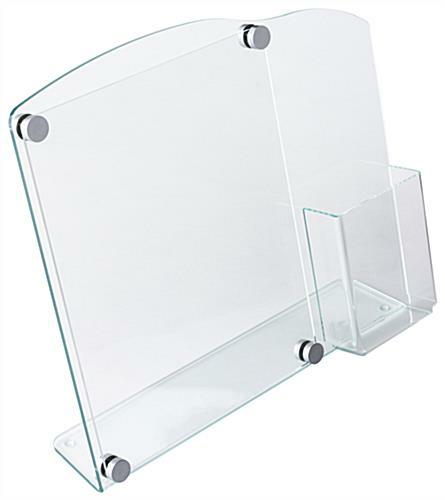 These clear acrylic stands look like glass because the edges are tinted green. 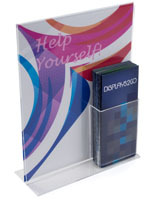 Each of these literature racks, lightweight brochure displays has both a signholder for an 8-1/2" x 11" poster as well as a pocker to hold 4" x 9" brochures. 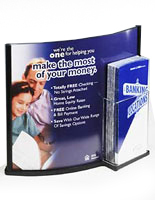 Lightweight marketing stands like these are effective in almost any environment, including banks, waiting rooms, atria, hotels, conferences and tradeshows. 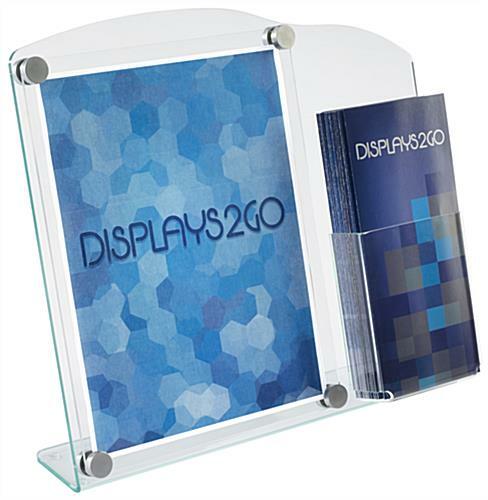 These brochure displays, also known as literature holders, feature 4 decorative gold knobs that hold the advertising sign in place as well as giving the entire display an elegant look. 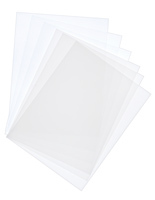 14.5" x 13.3" x 4.6"
4.4" x 9.8" x 1.3"